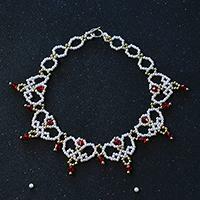 Wanna make some easy wedding jewelry? 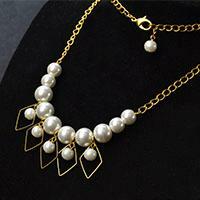 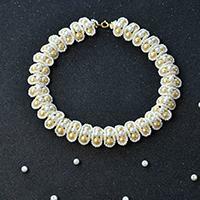 This tutorial will share a pearl bridal cluster necklace with you. 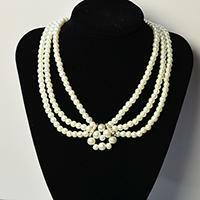 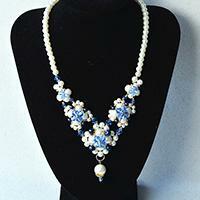 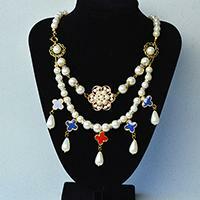 Hope you like the pearl cluster necklace. 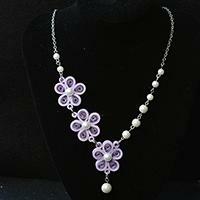 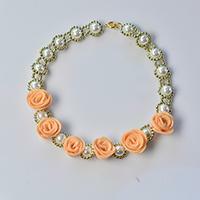 Do you like pearl flower necklaces? 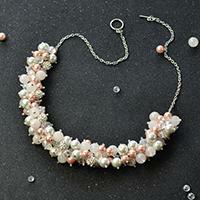 This tutorial will show you how to make a handmade pearl flower necklace with felt flowers decorated. 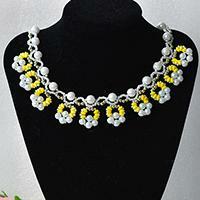 From this tutorial, you can learn how to make a beaded flower choker necklace with different sized pearl beads. 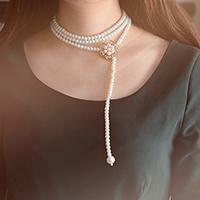 If you want to make a special accessory for your formal party, you shall never miss it. 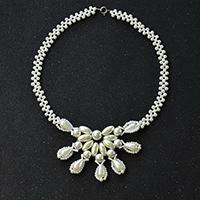 Do you like cool leather cord necklace? 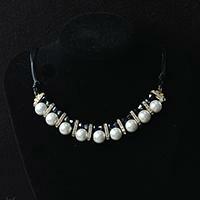 Then just check this Pandahall tutorial on how to make black leather cord pearl necklace with black glass beads. 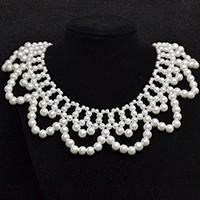 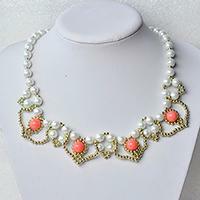 Like pearl necklace pattern? 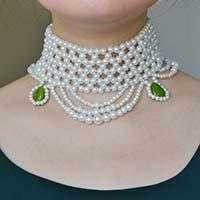 And do you want to try one for yourself? 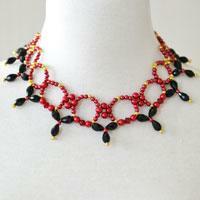 Then this Pandahall tutorial on how to make red pearl necklace with black glass beads is a suitable choice for you.